The Korg nanoKEY 2 takes the Korg nano-series controllers to the next level. 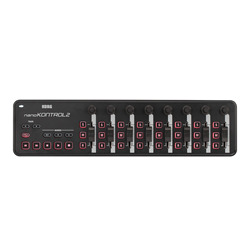 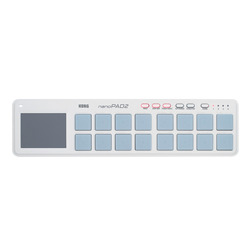 This 25-key compact MIDI controller features a new and improved design over previous nano-controllers, making it the ideal MIDI controller for musicians on the go. 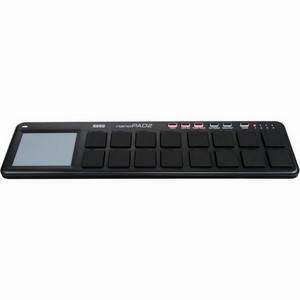 The all-new design sports 25 impressively responsive, velocity-sensitive keys with octave up and down buttons to access the full range of musical notes. 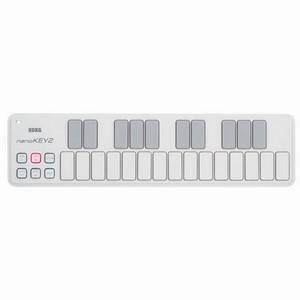 New to the nanoKEY series are modulation and sustain buttons for even more expressiveness and playability! 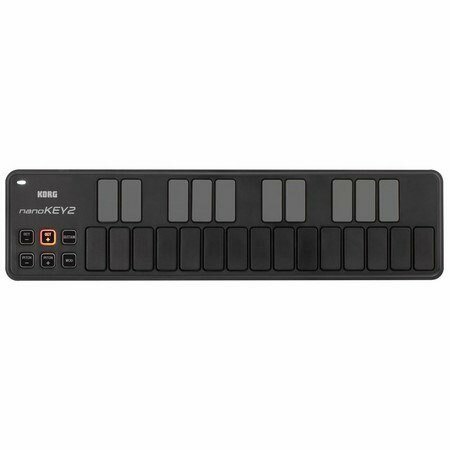 With its rugged build quality, new and improved keys, and ultra-slim size, you'll want to bring the Korg nanoKEY 2 wherever your music takes you.